After finishing the internship I didn’t have any plans and had booked my return from Bangkok 5 weeks later. I decided to get some more travel in until I would be meeting my boyfriend in Malaysia and headed to Hong Kong for 5 days. I stayed in a great little hostel called ‘Dragon Hostel’ in Mongkok, it was very no frills – small box rooms without a window, shower over the toilet bowl and a rock solid mattress – but the staff were lovely and the price, safety and location were all perfect. 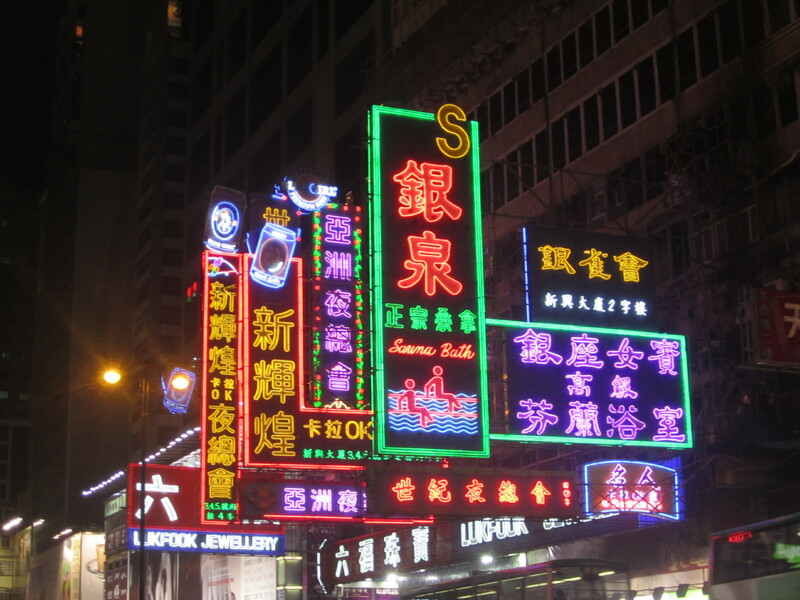 The best thing about Hong Kong was all the neon and the fact everything is so compact. 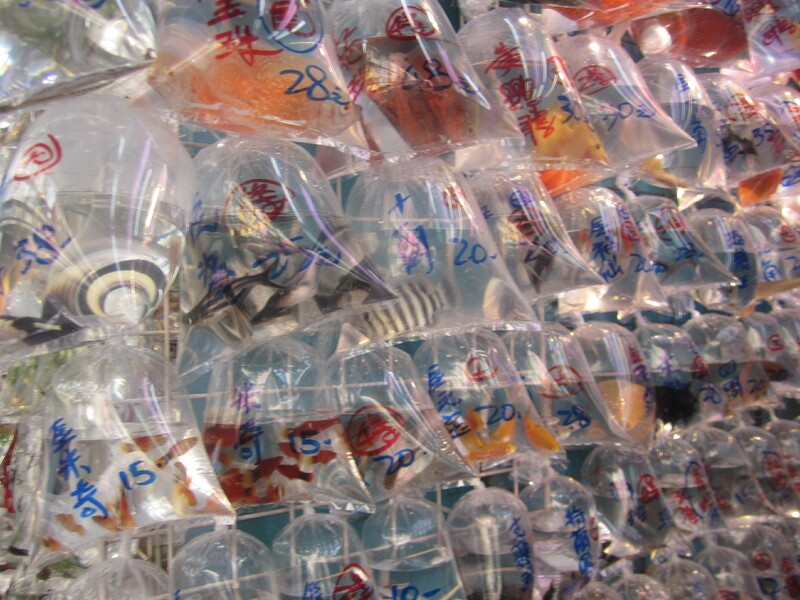 Coming from Beijing I found the city very easy to explore as it is the polar opposite and most people speak English. 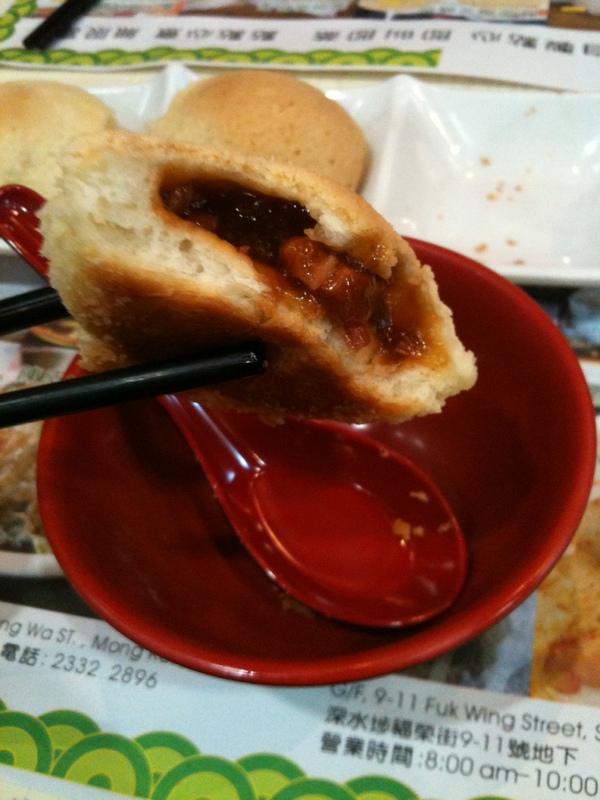 There is great food everywhere especially at the little Michelin starred restaurant serving BBQ pork buns. I decided to try it out and it was an experience perched on the end of a table of locals! 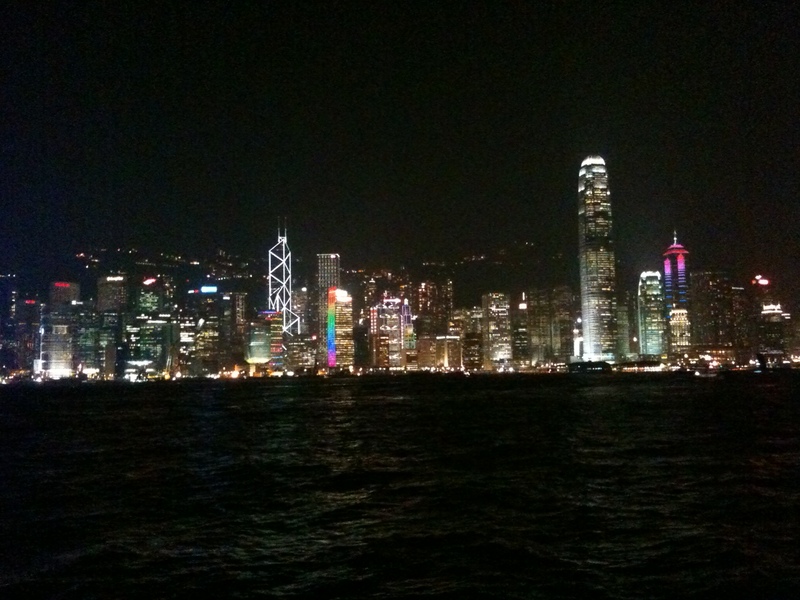 The skyline was my favourite part and costs nothing to see, also getting the star ferry across the water in the evening is great fun and not expensive. I took off exploring like a maniac for the days I was there – the peak tram, flower market, bird garden, temples, local food markets and of course I had a nose around Chungking Mansions. I am not sure I would like to stay there regarding the horror stories but it is a good spot for some cheap Indian food. 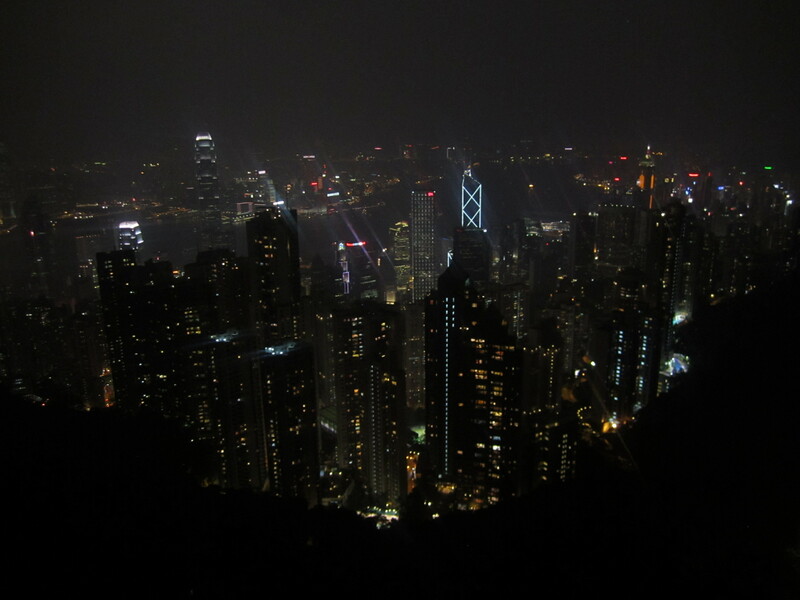 Overall I agree with the people who refer to Hong Kong as ‘China-lite’ – all the food, culture and excitement but without the language barrier, internet censorship and general difficulty of mainland China. 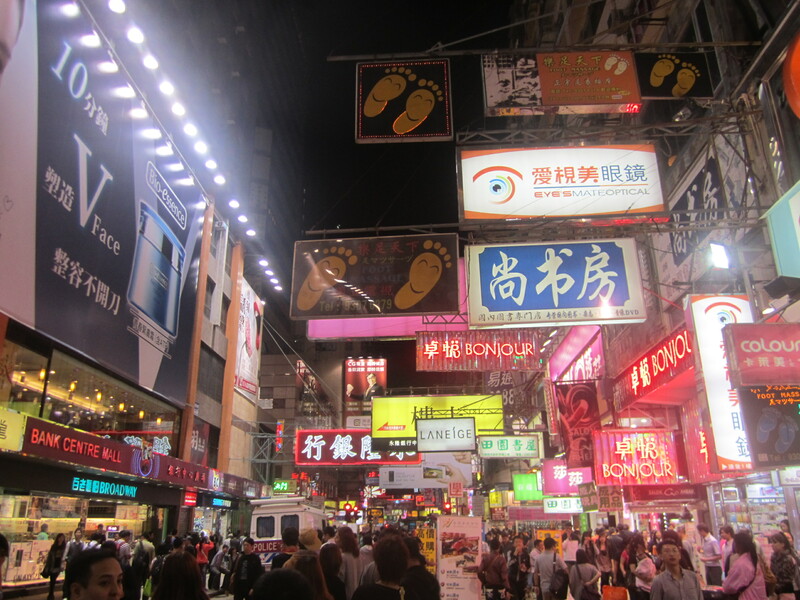 This entry was posted in Hong Kong and tagged city, food, hong kong, lights, market, neon, night, pork buns, shopping, skyline, solo, travel. Bookmark the permalink.